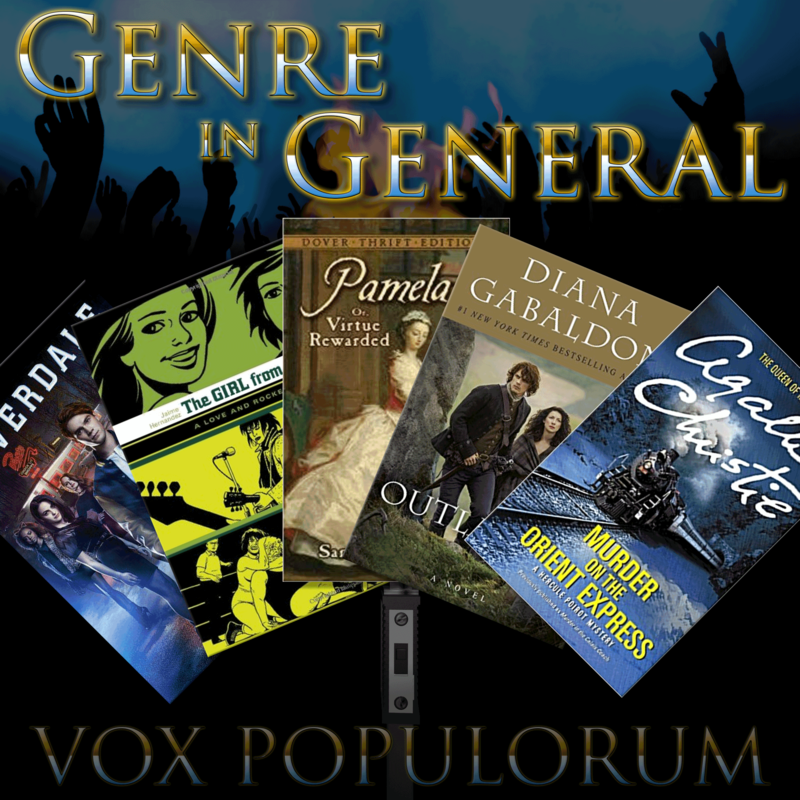 At best, “genre fiction” often seems to be taken as synonymous with “popular” or “exciting”. At worse, it is often used a pejorative meaning “low brow” or “garbage”. But what is genre anyway? And why is the word used that way? Wayne and Mav are joined by a returning Hannah to sift through a discussion on the topic of genre, how it works in literature, why it is necessary, why it is bashed and how it works in context of discussing everything from film to music to television shows comics to victorian novels… because that’s just the way this show works. So, I’ve read a lot of romance. Harlequin, Silhouette, yada. You are absolutely correct that they follow a formula and a pattern. I get annoyed when that pattern is broken because dammit, that wasn’t the agreement. I’m reading a romance book to hit these notes in this order. I’m not reading it to expand my mind (not that I haven’t learned things from romance novels, because I have). I want to sit down and get what I am planning on getting. We go back to certain authors because we know what to expect from them.